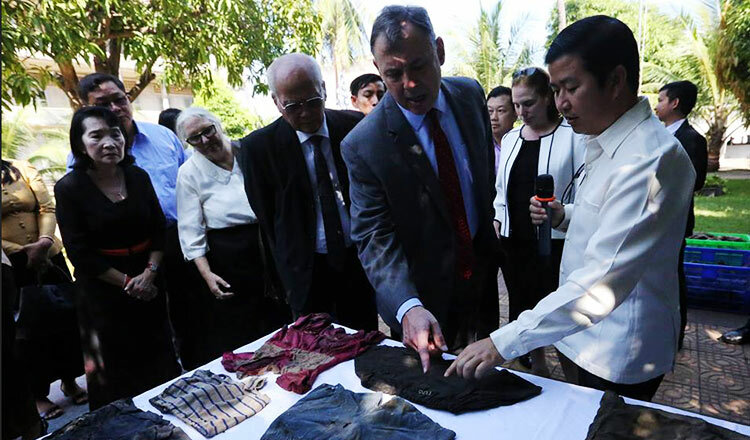 A meeting was held yesterday at Tuol Sleng Genocide Museum to review a digitisation project aiming to preserve about 400,000 records from Pol Pot’s brutal regime. The meeting was attended by Unesco representative Anne Lemaistre, Culture and Fine Arts Minister Phoeurng Sakona, NGO staffers and victims of the Khmer Rouge. 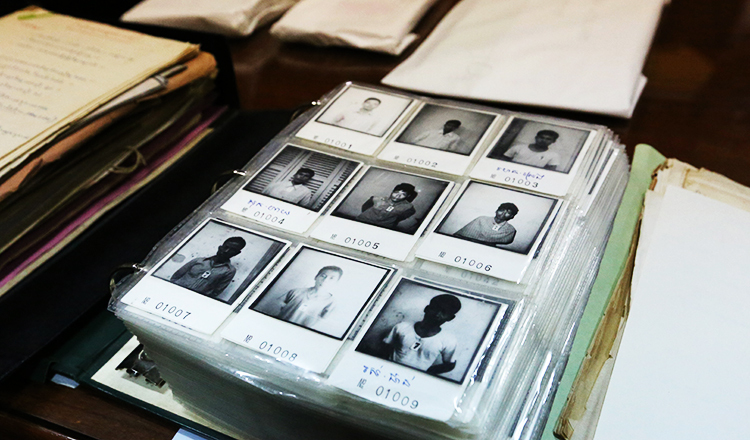 Museum director Chhay Visoth said that museum staffers have preserved thousands of prisoner records since the project began earlier this year. “Since we implemented this project in January, the museum has worked on 30 percent out of about 400,000 pages of documents on prisoners here at Tuol Sleng,” Mr Visoth said. He added that the project is supported by the Korea International Cooperation Agency through Unesco and will conclude at the end of next year. 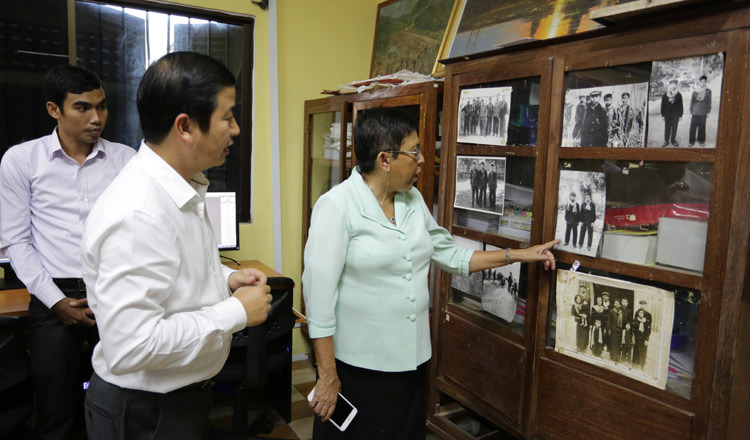 “I appeal to anyone in possession of documents or photos taken during Pol Pot’s regime to donate them to the museum for preservation,” he added. Mr Visoth noted that hundreds of people continue to visit the museum daily and that in 2017, up to 450,000 tourists visited the museum. 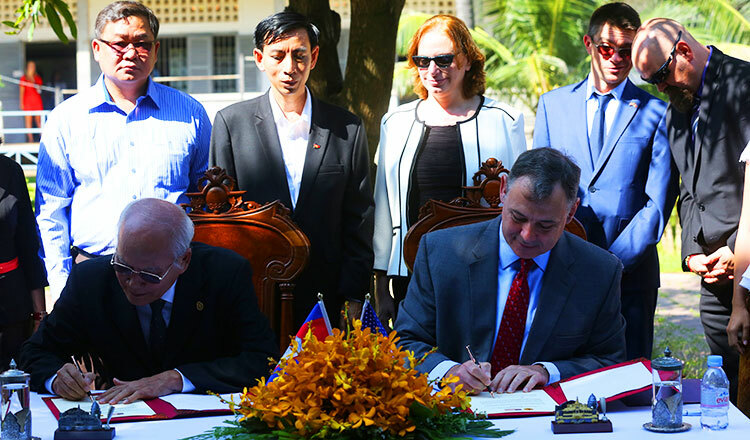 Funded by Unesco and KICA, the $1 million project is aiming to maintain and preserve documents and records from Cambodia’s most trying time. A database is being prepared to include biographical records of prisoners, prison guards and officials, original negative films and micro films, execution lists, prisoner release lists, daily logbooks, and records of methods used to monitor enemies of the regime. In January, Ms Lemaistre said that the project will provide universal access to Tuol Sleng’s records. She said that museum archives contain photographs of more than 5,000 prisoners, as well as their confessions, many of which were extracted under torture. “The digitisation of about 400,000 pages of documents will be complete in two years, as well as the creation of a database and website for families of the victims and researchers,” Ms Lemaisetre said. In 2009, the pages were recognised as World Documentary Heritage of international significance by Unesco.